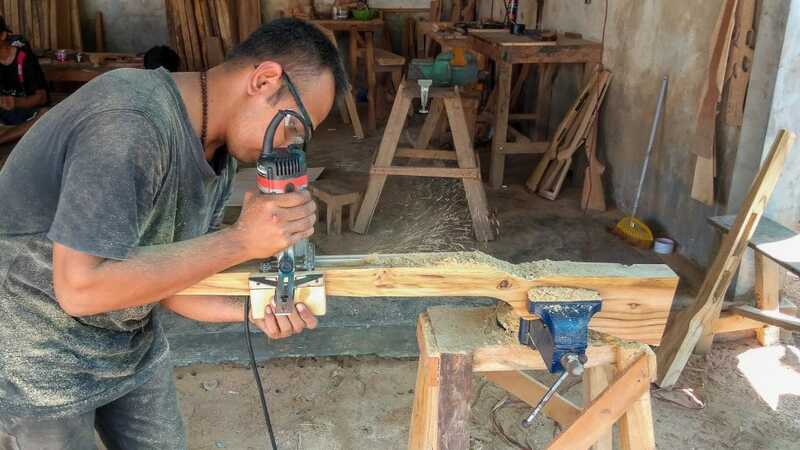 Wooden stocks made entirely by hand at the edge of the Indonesian rain forest. Premium woods meticulously selected by craftsmen combined with up to 50 hours of hard work per stock will turn your SSG24 into uniquely looking masterpiece. Every stock has its own individual characteristics, looks, and soul. 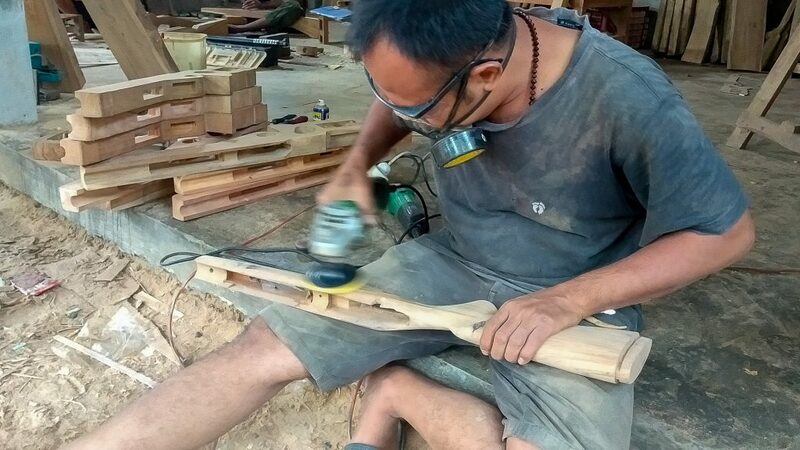 Taring Carving makes sure that every stock is fitted to an SSG24 during the production. However, this product is handmade, and it is possible that some fitting will be required. The height of the cheek rest can be adjusted once the two screws on the side are loosened. While the screw's knobs and the cheek rest are made of wood, the actual screws and the two vertical bolts are made of steel. The sling attachments are made of steel and attached with a metal bolt into the wooden stock. 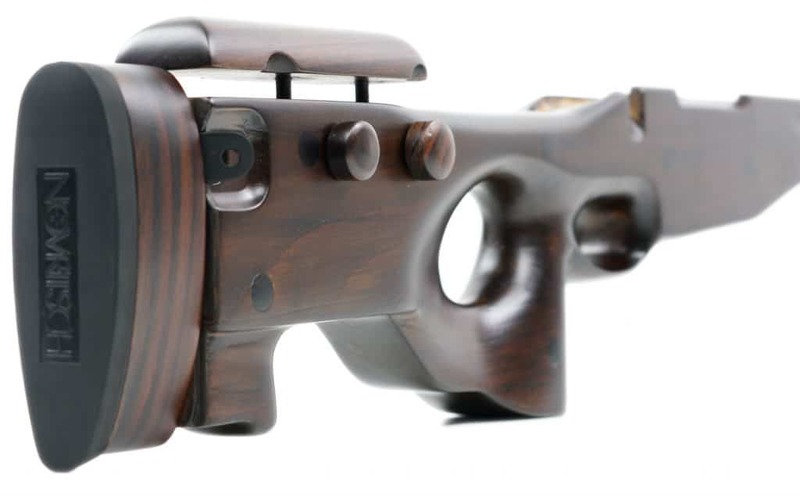 They are on both sides which makes it ideal for left-hand and right-handed shooters. Also, the left-hand conversion kit can be used with this stock, just like on all the other aftermarket stocks that are being sold here at novritsch.com. 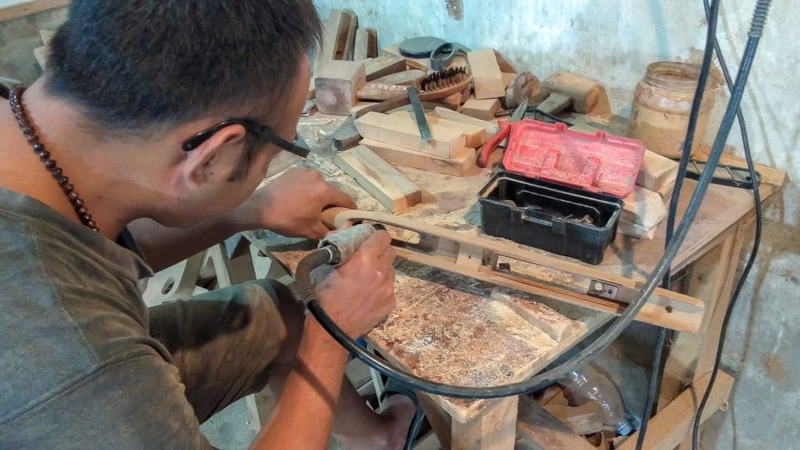 Meet Adam, the founder of Taring Carving. An airsoft player and a master craftsman in one person. 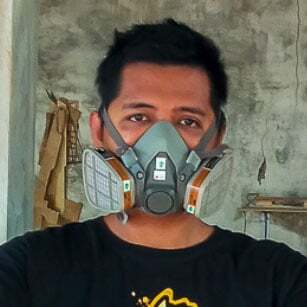 He was born at the edge of a rain forest in Indonesia and had been working with wood since he was a kid. 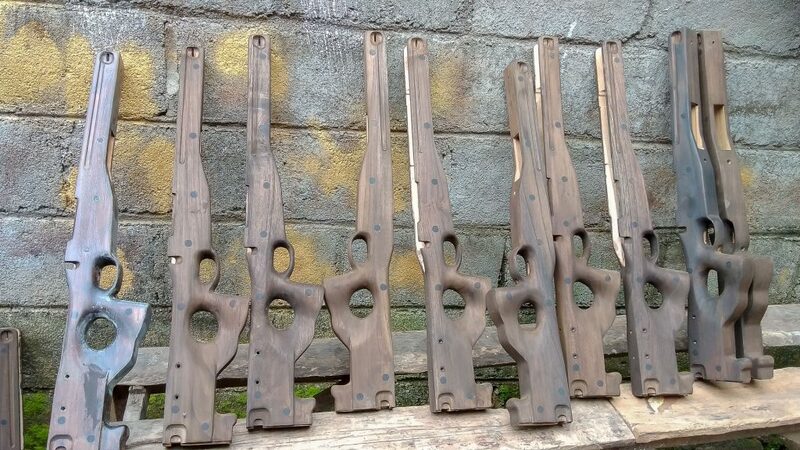 He started with Airsoft in 2008 and quickly figured out how to make custom stocks for airsoft replicas. 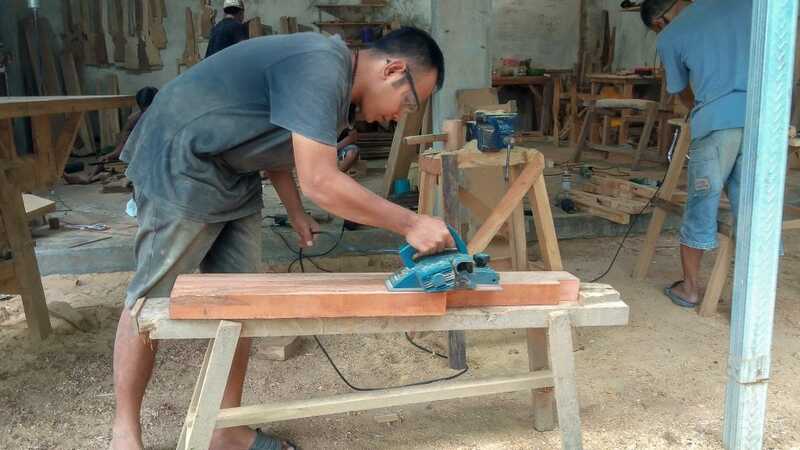 Everything starts with a careful selection of the perfect piece of teak wood, rosewood or mahogany. At the very beginning, Adam himself picks the trees with the best shape and properties. 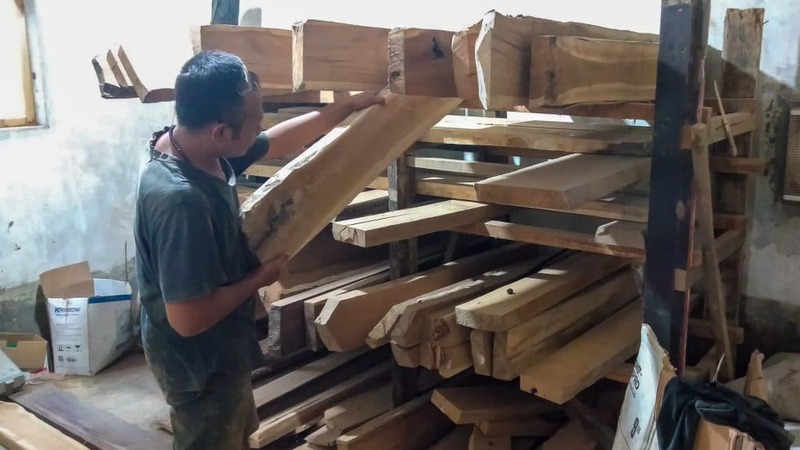 Then, the tree is cut down and delivered to his shop where the wooden planks have to dry for at least 12 weeks before he starts working on them. When properly dried the timber will remain stable and resist warping or twisting for many years. Even minor imperfections disqualify an otherwise perfect piece of wood. 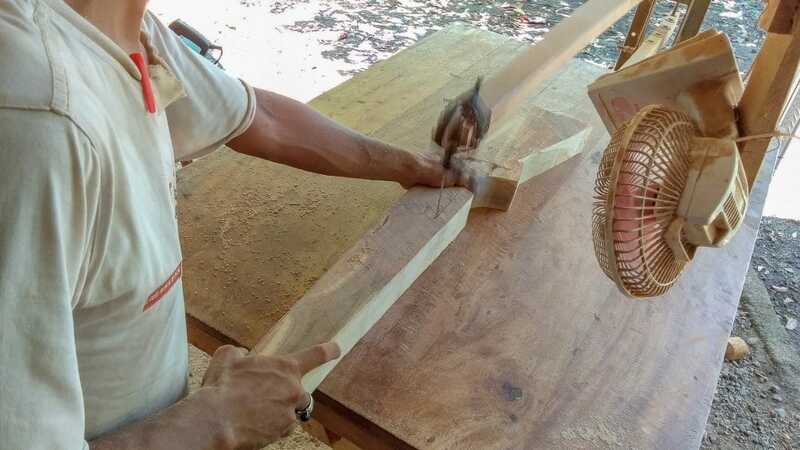 After passing the second quality check when the wood has dried, the wood has to be planed to reveal its texture and any potential imperfections. Next, Adam outlines the stock's shape so that the final piece has the most desirable structure. Shortly afterward, the plank gets its first rough shape. The rough inside shape is then milled out using an electric tool. Up until now, the process has been relatively easy and straightforward. The hardest part is yet to come. 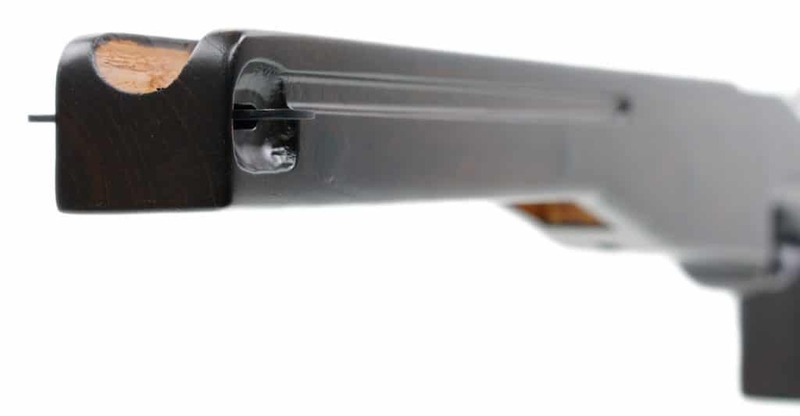 Now it's time to make space for all of the internal parts like the trigger box, magazine well, and the receiver. 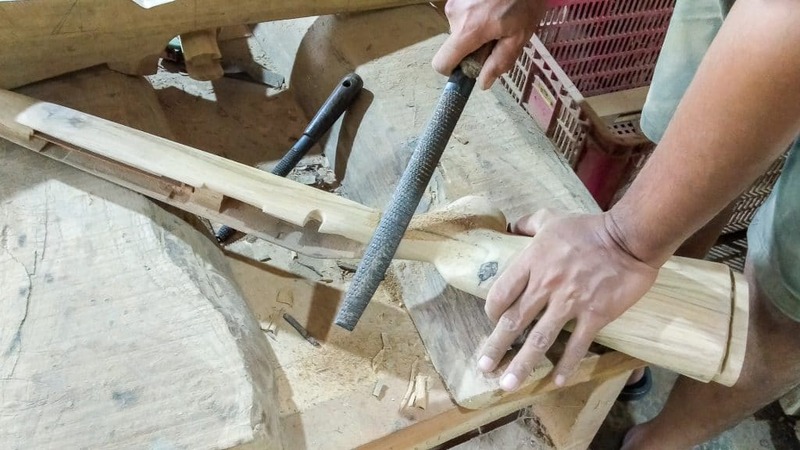 At this step, everything has to be made by hand and any mistake can lead to irreversible damage. 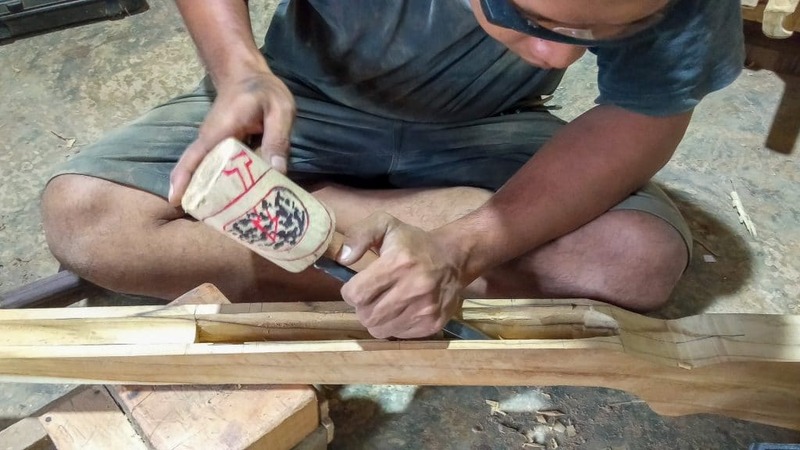 The process of carving out all the little details is very demanding and time-consuming. It takes years of practice and only the most skilled woodworkers are able to do this within the margin of error. If everything fits, the stock makes it into the next stage which is shaping the outside of the stock to the desired profile. A simple file and hours of work will do the trick. To give the stock a nice feel in the hand, the surface is sanded with an electrical tool. 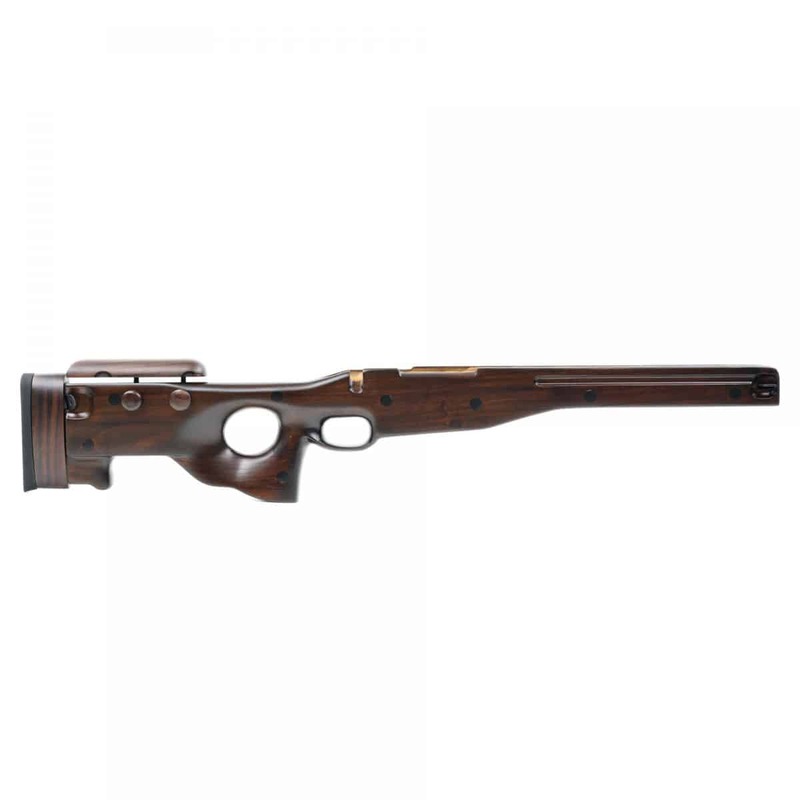 To make sure that the stocks fit the SSG24, the inside is inspected and corrected once again. The fact that the SSG24 has the magazine attached prevent potential feeding issues which makes this job a lot easier for them. The final step consists of painting the gun with a base paint several times. The exact number of layers is mostly dependent on the wood since each type needs a slightly different treatment. This base paint will protect the wood from moisture and other adverse conditions. Last but not least the final look is achieved by painting the stocks with two colored layers for a more saturated look and even more protection from scratches and the weather. Drying in the rain forest usually takes longer so it is crucial not to rush this step. Final quality control takes place before packaging the stocks in multiple layers of bubble wrap and putting it into a wooden container. 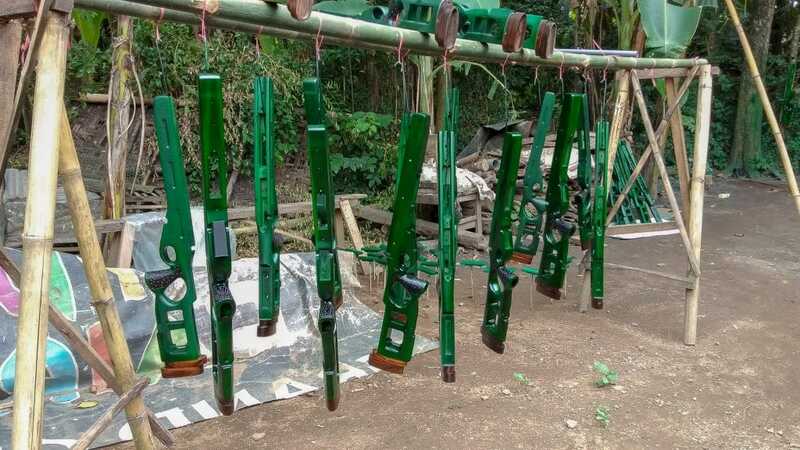 Then, after months of work and waiting, the stocks are ready to be shipped to the NOVRITSCH warehouses.